1. Contact parts made of stainless steel. 2. Precisely cast aluminum hull, smooth surface and good performance of maintaining temperature setting. 3. Low noise blower, installed air filter with(optional) purity guaranteed. 4. Material tank installed with side glass for inspection. 5. Curve heating cylinder designed to avoid power pile. 6.1nstalled with proportional deviation display thermostat. to control temperature accurately. 7. High-temperature type for 50-1500kg available, with double-walled hopper tank stainless steel heating tube and high-temperature blower. 8. Hopper specially designed for easy opening, suitable for all robots. 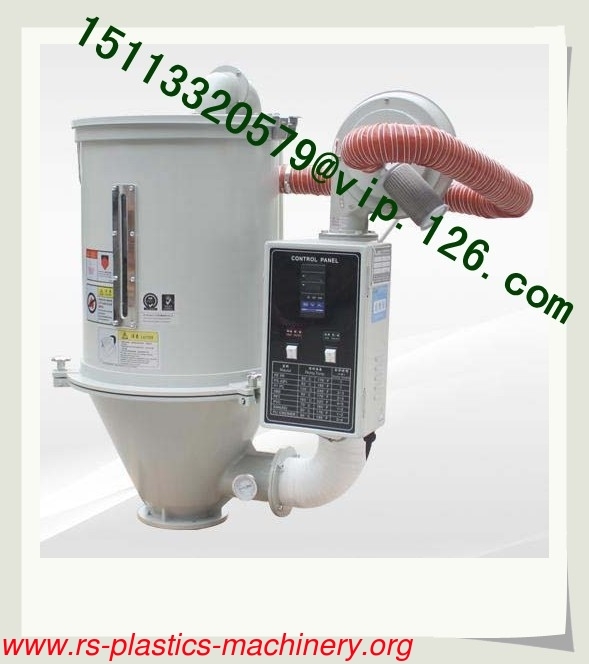 For more details of the China hopper dryer, please contact us for E-sheets! For more choice of hopper dryer, China plastic machinery products, please contact us for E-catalogue and Price Lists!